Premier League Done Deal. 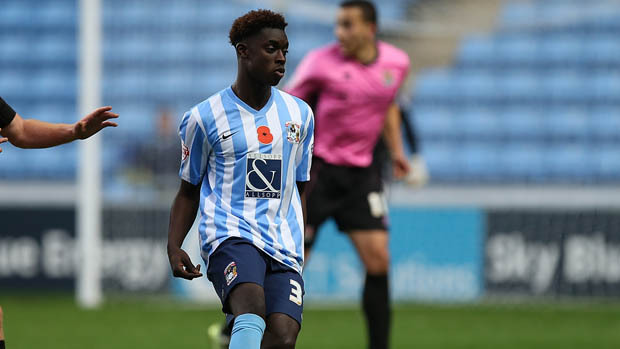 Premier League side Everton have agreed a deal to sign Coventry City starlet Bassala Sambou, according to SkySports. Premier League side Everton have agreed a deal to sign Coventry City starlet Bassala Sambou, according to SkySports. Sky Sources confirmed that Everton and Coventry City have reached an agreement for the possible move of teenager Bassala Sambou. Also Read the Hottest Signing In the Premier League! The 18-year-old has been exceptional for the League One side in his three years of stay at the club. He scored 25 goals for under 18 and under 21 levels. German born youngster made first team debut against Northampton last year in November. Coventry tried their best to keep the player but failed as the player cannot deny a move to the Premier League side. Though the club understands the situation and wished him the best of luck for his future career at Goodison Park. Meanwhile, the Merseyside Blues are expected to lose their star striker Romelu Lukaku as the Belgian is linked with big clubs including Bayern Munich. Currently, he is with the Belgian squad for the European Championship which starts next week. Also in the news, Everton have not appointed a new manager since the sacking of Roberto Martinez last month. Reports have revealed that Southampton boss Ronald Koeman could be the new boss at the Goodison Park.